Click on a question to see answer. You can use the "Forgot Password" link on the log-in screen and the database will send you a new password within minutes. You'll need to know your RtI:B username and the email address the database has on record for you. If you're unsure of this information, email the database team for help. All of the problem behaviors for the database have been defined to allow school or district personnel to align them with your current discipline forms. The database also offers custom fields to help schools and districts track behaviors that are not already reflected in our system. Check with your school's main contact for the database to see if a resource has already been compiled for you, or email the database team for advice. Have a district supervisor or principal email our team to let us know you're interested. We'll call you back to see how you would like to use the system, identify activities to help you start using the database successfully, and get to work creating your account. The amount of time this will take depends on how you'll use the database; in general, time frames have varied from the same day of the request to several weeks. You can "hide" their name from your school's roster, which will also remove their ability to log-in to your school's RtI:B account. "Hiding" a name from the staff list will remove it from the database's functional rosters (such as those found during incident entry), but it will remain on the master roster so as to preserve any records associated with their name. Those who have Data Entry or School Admin access levels can overwrite the duplicate information by editing the incident, or simply email rtidb@usf.edu to request some help. The RtIB Database has a Merge Student feature that allows you to remove duplicate names from the student roster. Send an email to the RtIB Database Support Team at rtidb@usf.edu to request an enrollment date change. No. You only need to add those students who you will be monitoring. Having your complete student roster in RtIB is not necessary. 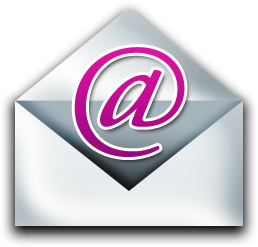 The fastest way to get in touch with us is through our group email. Please keep student information confidential by using student ID numbers instead of names, and let us know which school you work with so we can resolve your issue quickly. A member of the database support team can usually respond within a couple of hours, but you will always receive a response within one business day. Please be aware that Florida has a very broad Public Records Law. Virtually all written communications to or from state personnel are public records available upon request. E-mail sent or received on this system may only be withheld from disclosure if deemed confidential pursuant to State Law. Don Kincaid, Ph.D. co-directs the Florida Center for Inclusive Communities, a University Center for Excellence in Developmental Disabilities. Don is also the Director of the Florida Positive Behavior Support Project at the University of South Florida. He also directs USF's participation in the OSEP Positive Behavioral Supports and Interventions Center, a partnership of Universities and agencies across the country. 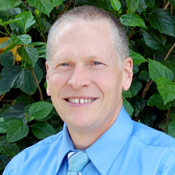 His professional interests include the areas of person-centered planning, positive behavior support, disabilities, and school and systems change. 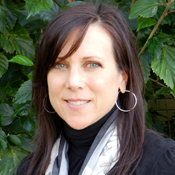 Karen Childs, M.A. facilitates the collection and maintenance of data for Florida's PBS Project and provides analysis to guide the project and its participating districts and schools in making data-based decisions regarding behavior support in schools. In addition to those responsibilities, she provides technical assistance to districts in the state, which provides her the practical experiences necessary to develop and maintain a data system that works effectively for the project and its participating educational institutions. 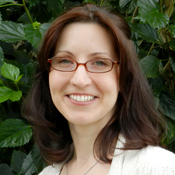 Karen brings to the position experience in teaching and research with children experiencing emotional and behavioral challenges, teacher training, family involvement, and policy development. 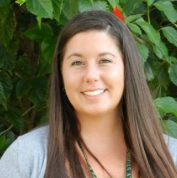 Therese Sandomierski, Ph.D. coordinates the development of the State’s RtIB database and provides training and technical assistance in PBS to several school districts throughout Florida. Her background includes behavior analysis and school psychology, where she completed her dissertation on the topic of disproportionality in schools that implement Tier 1 PBS. Her professional interests include positive behavior support, systems change, and disproportionality in school discipline. Tracy-Ann Gilbert-Smith, M.S. provides technical assistance for the RtI:B database and works closely with the RtI:B database team. She also provides technical assistance for the Graduate Certificate in Children’s Mental Health and the Graduate Certificate in Positive Behavior Support. In addition, she is the logistics and off-site coordinator for a number of state and federally funded projects. 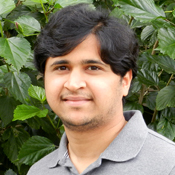 Raghavendra B. Prata, M.S. is responsible for the development, expansion, and support of the Response to Intervention for Behavior Database, and the overall technology and database plan of the FLPBS project. He has a Master of Science in Electrical Engineering from Texas A&M University and his interests include developing windows, web and mobile applications. Rebecca provides technical assistance for the RtI:B database. In addition to working closely with the database team, she is the lead research assistant for two grant-funded research studies involving young children with challenging behaviors. 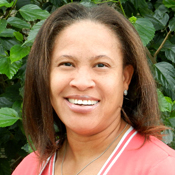 Her background includes applied behavior analysis and positive behavior support. She holds a BA in Psychology and is in the process of completing a graduate certificate in Positive Behavior Support at the University of South Florida.